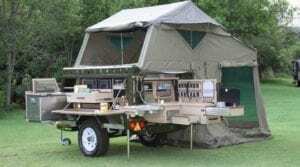 Conqueror Manufacturers has over 30 years experience in the build and design of caravans and trailers, originally we manufactured trailers for military use but later expanded into the leisure and camping industry. Today we are one of the oldest and largest off-road trailer and caravan manufacturers in the country. Our philosophy of continuous improvement, comfort and durability has made us the leader in off-road camper design and manufacturing. 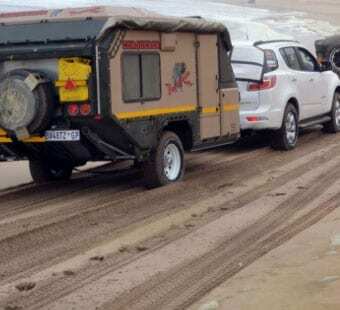 Our experience with stainless steel in the past has shown that this material is not the ideal material for the building of campers and trailers as it is still susceptible to corrosion. It is for this reason that we have elected to follow motor industry trends using electrogalvanized steel for all our chassis and core body frames. Aluminium is used in the construction of doors and furniture to reduce weight and all our tents are made from coated ripstop canvas, while nylon or less durable materials are avoided. Chassis are manufactured from 3mm steel using NC machines for accuracy. Welding on the chassis is kept to a minimum through the use of smaller components that are bolted together which in turn significantly reduces the risk of metal fatigue and stress concentration zones on the chassis. An added benefit of this technique is easier component replacement in case of damage. Once assembled the chassis is hot dipped galvanised for added corrosion protection. Solid beam, braked axles are used in the trailers while a patented independent suspension with stabilizers are used in our caravans. All our campers are equipped with 16” wheels with options to upgrade to alloy rims. Benefits of an independent suspension over conventional solid beam axles include improved handling both on- and off-road, improved axle articulation over obstacles, increased ride heights and superior ride quality. The independent suspension offers a softer ride which translates into a better towing experience especially on dirt roads and corrugation. Body components are manufactured using a combination of electro galvanized steel and aluminium which is punched using NC Machines for accuracy and then powder coated. Benefits of powder coating over other finishes are a higher degree of resistance to scratches, chipping, wear and fade. All parts are of a modular design allowing for easy panel replacements in case of an accident. 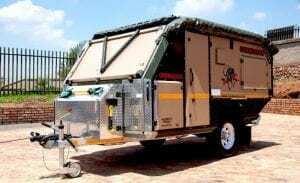 The body is assembled using a range of high-quality fasteners and a high modulus polyurethane glue which reduces metal fatigue, corrosion and provides a more durable longer lasting camper. 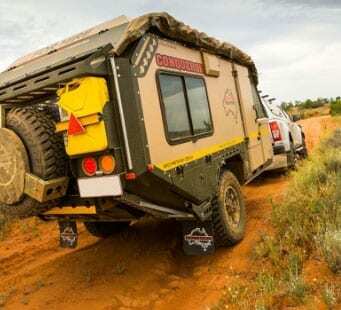 Recently Conqueror also introduced a revolutionary material in the construction of its new range of campers which significantly reduces weight. 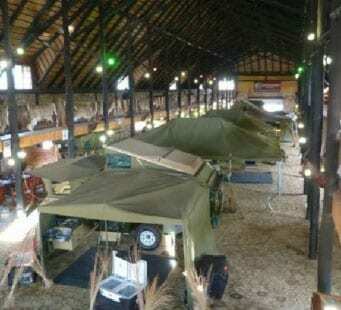 All models can be equipped with a purpose made range of tents, awnings and accessories. Our awnings are recognized as the best designed and of highest quality in the industry. Provision for most accessories and add-ons are made during the design process. Anchor points, mounting holes and routings are thus part of the basic camper allowing for easier equipment installation at any stage. Providing support and confidence across the country. 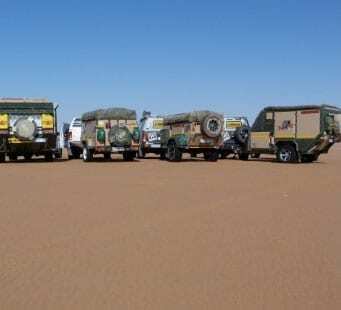 Conqueror has an extensive dealer network across Southern Africa that has been factory trained to provide you with expert advice pre- and/or post sale, conduct services or assist with accessories. Contact your closest Conqueror Dealer today.